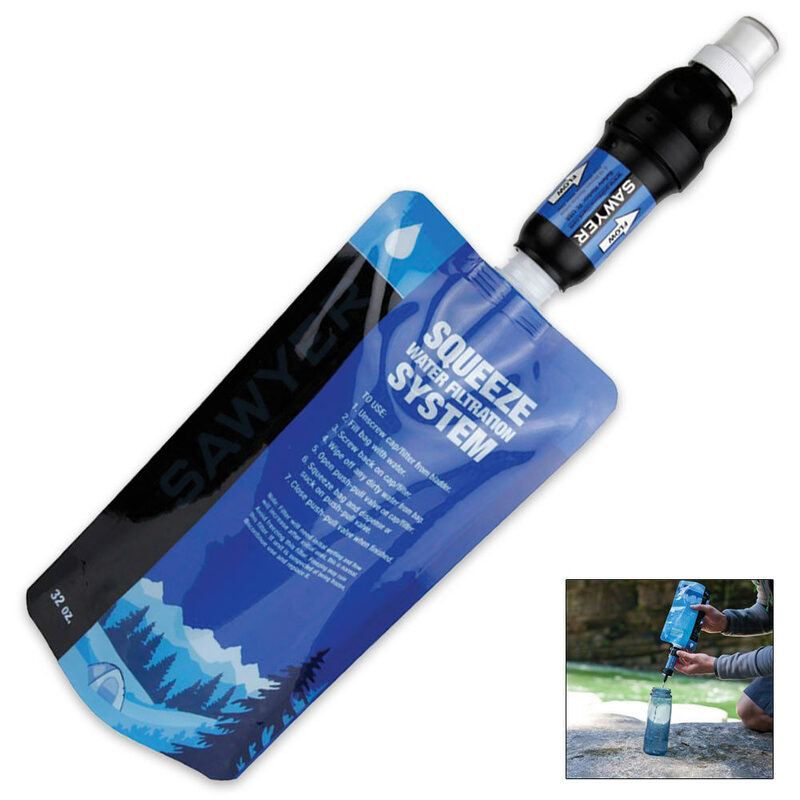 Sawyer Squeeze Filter One Liter Bag | BUDK.com - Knives & Swords At The Lowest Prices! Sawyer's Squeeze Filter is one of the most technologically advanced and innovative water filters available, guaranteed to filter one million gallons over its lifetime! This filter makes safe drinking water from lakes, rivers and streams. Squeeze the included one-liter pouch and allow the water to flow into a container, or drink directly from the filter's pop-up cap. This filter also screws onto most drinking bottles and two-liter bottles.